Leland—A National Champion cheer squad resides in Leland. This weekend, the RBA Vikings Pee Wee squad from Charter Day School earned the top prize in national competition— for the fourth time in a row and fifth overall. The cheer program also won two first-place National Championships in other divisions, bringing the program total to seven first-place National Champion titles since 2011. Broadcast on ESPN 3, the week-long Pop Warner national competition saw more than 420 teams from across the nation compete in their respective divisions. This National Champion squad also received the Spirit of Sport Award—the competition’s “Miss Congeniality” equivalent—from a pool of 20 contenders. The squad is comprised of students from Charter Day School ages 9-12. Another Charter Day School squad competing in a different division—the competition’s most advanced— achieved an impressive second-place finish while setting a new highest score record for the RBA Viking cheer program. A squad including students from both Charter Day School and their Whiteville sister-school, Columbus Charter School, achieved a fifth-place national title. 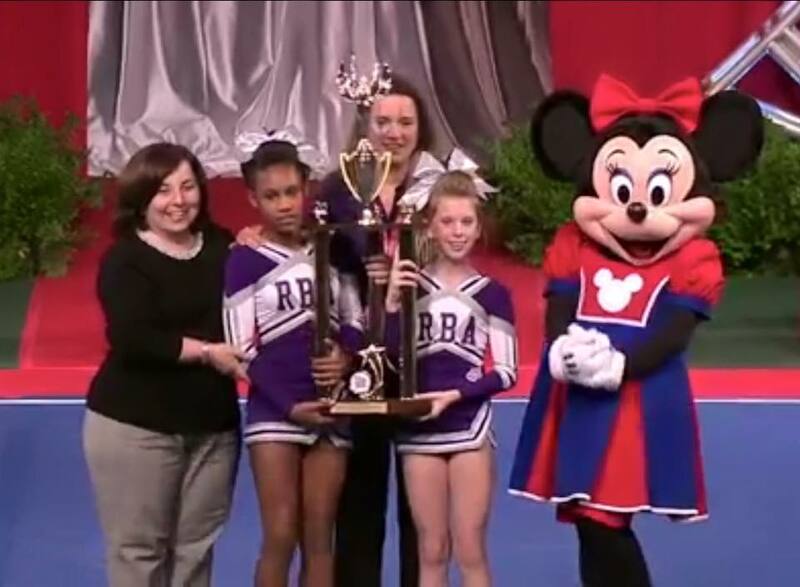 Columbus Charter School and Charter Day School are identically-operated sister schools managed by The Roger Bacon Academy, Inc. (RBA), which sponsors the schools’ Pop Warner athletic teams. As public charter schools, the schools do not receive funding for facilities and athletic programs, among other things. The cheer program is self-supported through donations and volunteers. In sum, at 2015 Nationals, a total of four squads with students from Charter Day School or Columbus Charter School competed and brought home first, second, third and fifth place finishes. The common denominator for these programs’ mutual success is Head Coach, Jean Lafave. Lafave started the program at the Leland campus in 2005 and successfully replicated it at the Whiteville campus in 2014. An unpaid volunteer, Lafave leads both programs with the support of volunteer assistant coaches—one of whom includes her daughter, Abby, an alumna of a former National Champion squad. At Charter Day School, the Pop Warner organization has awarded over $12,000.00 in scholarships to student athletes since 2005. In addition to success in cheerleading, Charter Day School and Columbus Charter School provide the highest-scoring elementary and middle schools on state End-of-Grade tests in their respective counties, Brunswick and Columbus. The schools are public, free, K-8 charter schools that any student may attend. Their family of identical public charter schools also includes elementary schools Douglass Academy in Wilmington and South Brunswick Charter School near Southport. Coach Lafave organizes “cheer clubs” at these campuses for elementary students. In addition to Lafave’s cheer programs, each of the four schools in the family offers a classical curriculum including, among other things, Latin, cursive, and composition. Open enrollment for the tuition-free public schools will run the month of January, 2016. To enroll online or learn more, please visit www.rogerbacon.net.